Savannah Cat vs Bengal - Which Wild Hybrid is Right For You? What are the differences between a Savannah cat vs Bengal cat? Both cats come from crossbreeding a domestic cat with a wild feline. And both cats might look very similar to the untrained eye. Yet, there are a number of differences between a Savannah cat and a Bengal cat. And choosing the correct breed for your household is very important. In this article, we’ll discuss the differences and similarities of a Savannah cat and Bengal cat. Savannah cat vs Bengal – which pet is best? Savannah and Bengal cats are both domestic / wild cat hybrids, but they are quite different in some ways. Savannah cats are spottted and Bengal cats have rosettes, and Savannah cats can be twice as large. The best cat will be the one that suits you tastes and family the most. Let’s take a look at how to make that choice. Bringing a new pet into any household can be a time of great excitement. But, it is very important to carefully consider which pet breed to bring into your family. 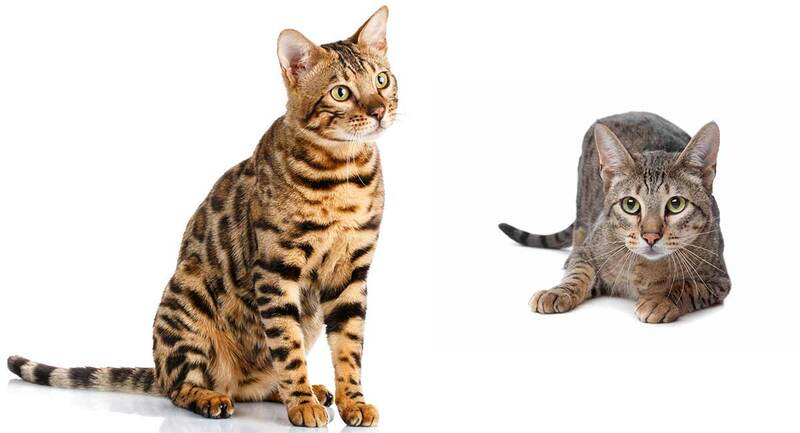 Even in breeds that look similar like the Bengal and Savannah, can actually be quite different. Which breed you choose depends a lot on what you’re looking for and your current situation. Do you want an active cat, or a cat that is more subdued and cuddly? Do you live in a tiny apartment or on a sprawling farm? Read this quick guide on the differences between a Savannah cat vs Bengal cat and then chose which one best fits into your lifestyle! What is the Difference between Savannah Cats and Bengals? Savannah cats and Bengals are actually quite different from each other. While both are crossbreeds between domestic house cats and wild felines, they both come from different wild breeds and individuals have different percentages of wild genetics. These variations lead to a wide number of differences between the two species. We will talk about some of the specifics below. Savannah cats are characterized by their crisp spots. Their background color can be anything from brown to silver to black. On the other hand, Bengals have more leopard-like rosettes (clusters of spots or blotches in a roughly circular formation) thanks to their ancestry. Bengal base colors are similar to a Savannah, with a couple light variants such as white possible as well. There is a huge size difference between these two breeds. Savannahs cats with lots of wild genes can reach 40 pounds. Their lanky, tall size also tends to give the impression that they are larger than they actually are. Conversely, Bengals reach 15 pounds at most. Both breeds of cat will get closer to the size of a domestic house cat as they become further removed from their wild ancestors. Neither Bengal nor Savannah cats need any more grooming than your average house cat. They do not require bathing, even if you could get them in the bathtub! If anything, a gentle brush every now and then will help prevent excessive shedding and keep your cat’s coat in good health. Bengal and Savannah cats do not usually shed more than your average house cat. Of course, the amount of shedding exactly depends on a number of factors, including time of year and temperature. As we stated previously, a quick brush every now and then should be enough to control the shedding. Both Bengal and Savannah cats are more active and lively than your average housecat. They tend to enjoy playing and running around as opposed to sleeping in your lap. Because of this, they are mostly recommended for active households who have the energy and time to play with them. Savannah cats have been described as dog-like. They are loyal and require a huge amount of mental stimuli to stay happy. It is not uncommon for Savannah cats to get themselves into trouble in search of fun and excitement. Bengal cats also need a large amount of mental stimuli, though they are not as dog-like as Savannahs. They also have the tendency to be a bit more talkative, and have a very unique meow when compared to other domestic cats. Because they are both pedigree breeds, both Savannah cats and Bengal cats are prone to some hereditary health problems. Both Savannah cats and Bengal cats are disposed to Hypertrophic Cardiomyopathy (HCM). This condition is genetic and is characterized by thickening of the heart muscles. This can impair heart function and eventually lead to heart failure. There is no sure way to avoid this disease. However, ensuring that the particular kitten does not have any direct relatives with the condition can contribute to avoiding kittens who are predisposition to fall ill. It is also possible to screen breeding cats for some of the genes known to increase the risk of HCM, but the outcome does not guarantee whether a cat will or won’t go on to develop the condition. Like many animal hybrids, males born into the earlier generations of both breeds are sterile. In other words, they cannot reproduce. This is common in nearly every animal hybrid, and usually does not have any troublesome effect on the felines. Male cats that are sterile go on to live healthy, normal lives. They just can’t breed! Unless you’re planning on breeding your felines, this really isn’t something you should be worried about. Bengal cats are also prone to a number of other diseases, including Progressive Retinal Degeneration. This is common in purebred cats. It is genetic and leads to early blindness. While it usually is not life threatening, it is still important to ensure that any kitten you are looking to adopt does not have any relatives with the disease. This disease is also common in Bengal cats. It is genetic like many of the other diseases, but in this case screening the kitten’s parents should be enough to ensure that their kittens will not be affected. Is the Savannah or Bengal Cat a Better Pet? The answer to whether to get a Savannah cat vs. Bengal really relies on what you’re looking for in a pet. 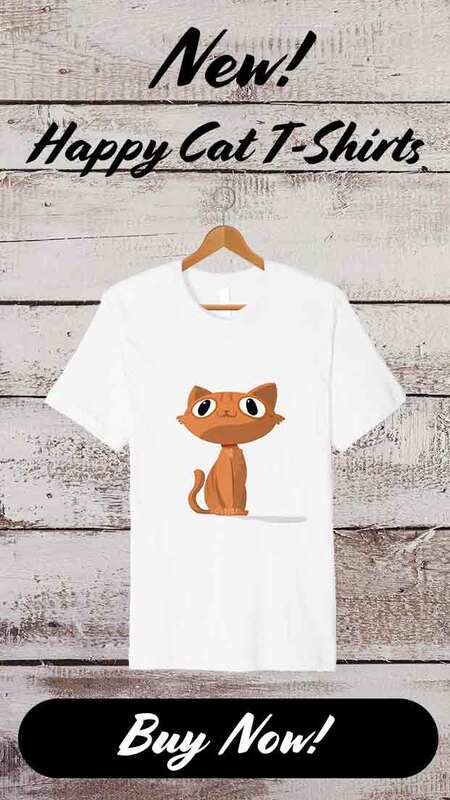 Are you wanting a more dog-like cat? Do you have room for a gigantic Savannah cat, or would you rather have an average sized cat? It is important to look at your lifestyle and wants in order to figure out which cat is best for you. Have you already made the choice between Bengal or Savannah cat? Which of these exceptional cats did you choose, and what swung it for you? Grahn, R. “Erythrocyte Pyruvate Kinase Deficiency mutation identified in multiple breeds of domestic cats.” BMC Veterinary Research. 2012. Ofri, R. “Characterization of an Early-Onset, Autosomal Recessive, Progressive Retinal Degeneration in Bengal Cats.” Investigative Ophthalmology & Visual Science. 2015. Davis, B. W. “Mechanisms Underlying Mammalian Hybrid Sterility in Two Feline Interspecies Models.” Molecular Biology and Evolution. 2015.